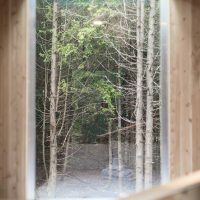 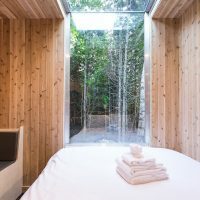 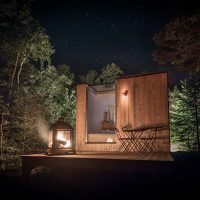 A true feather nest in nature, this Scandinavian-inspired, minimalist refuge will give you a unique experience. 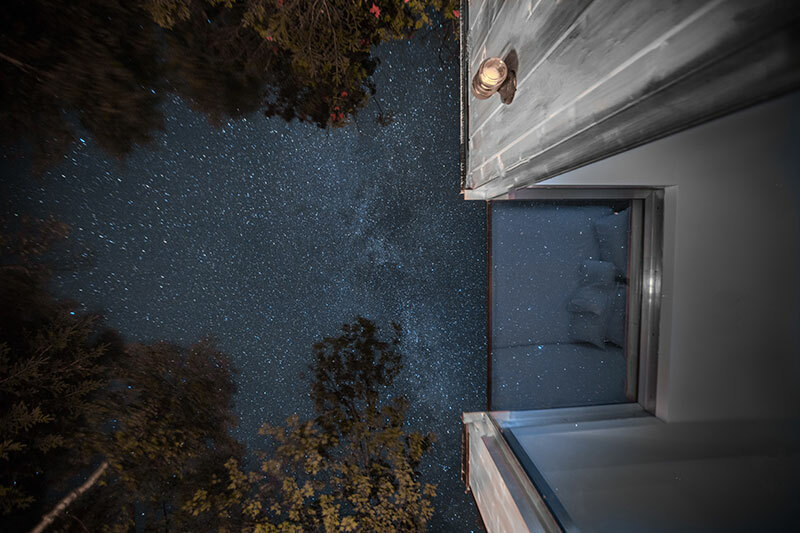 Gaze at the stars through the spectacular panoramic window from the comfort of a superior quality bed. 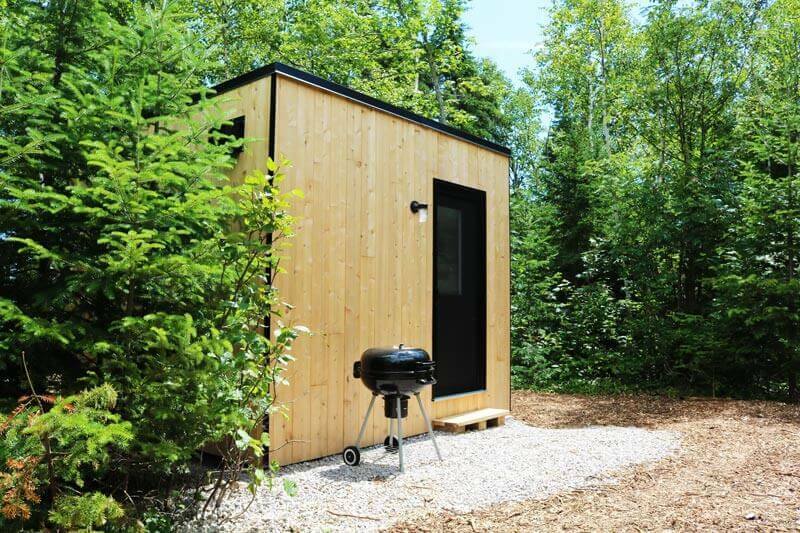 Equip with a kitchenette, glass and ceramic 2 element hot plate, fridge and table for 3, this mini abode with delight you! 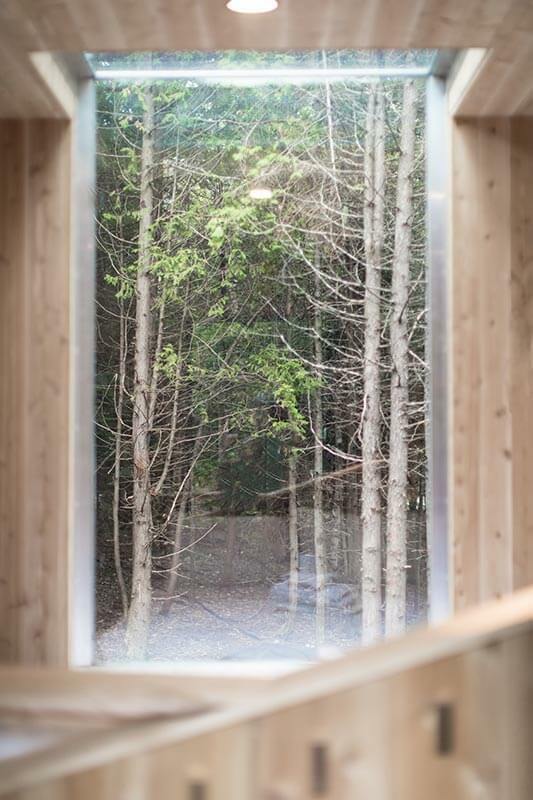 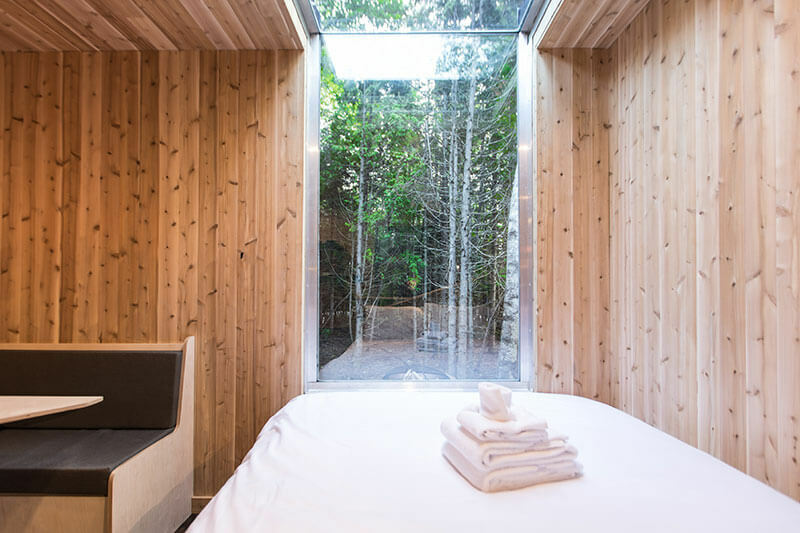 Also, enjoy free access to our baths and sauna, and sink into the peaceful calm of nature. 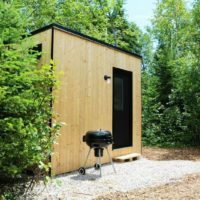 Showers, toilets and running water (potable) are located in the main building, less than a minute walk away. 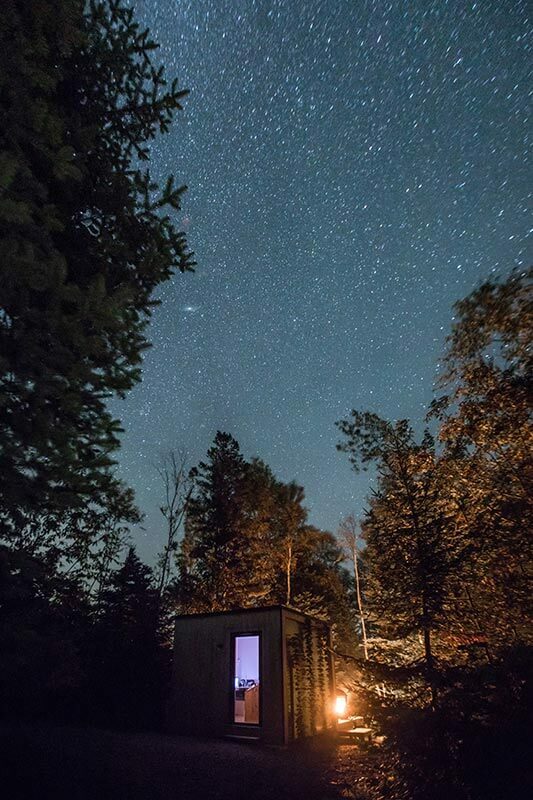 Please be advised there is a minimum stay of two nights at our cabins and refuges. 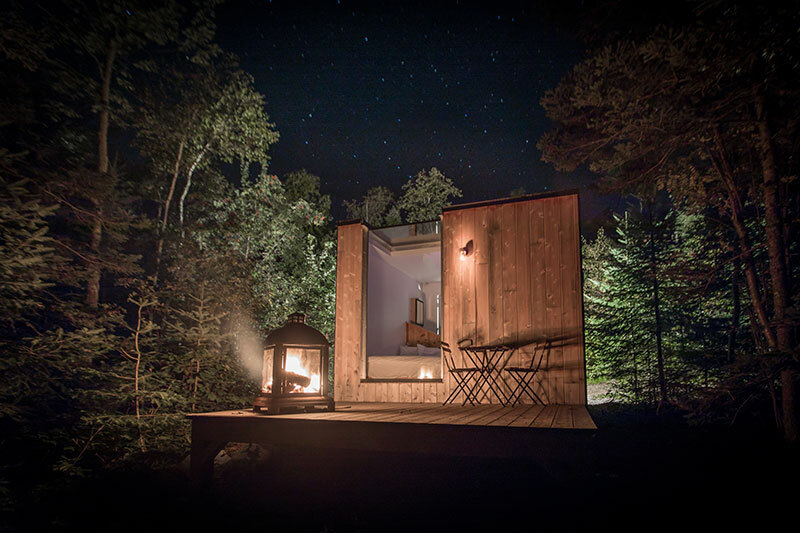 In the exceptional situation that no other options are available, it is possible to rent for one night only. 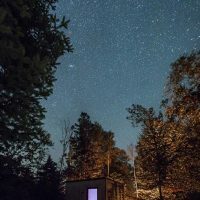 The desired date needs to be isolated between 2 dates that are not available (in red). 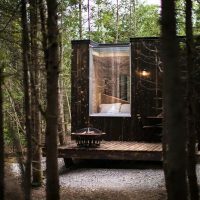 An additional charge of $25 will apply. 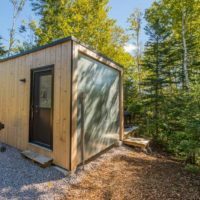 For more information, contact us at 418-635-1153. 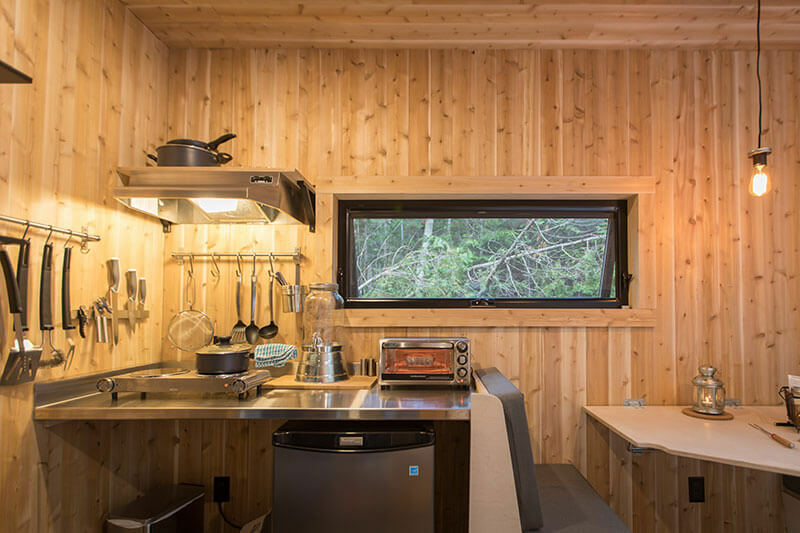 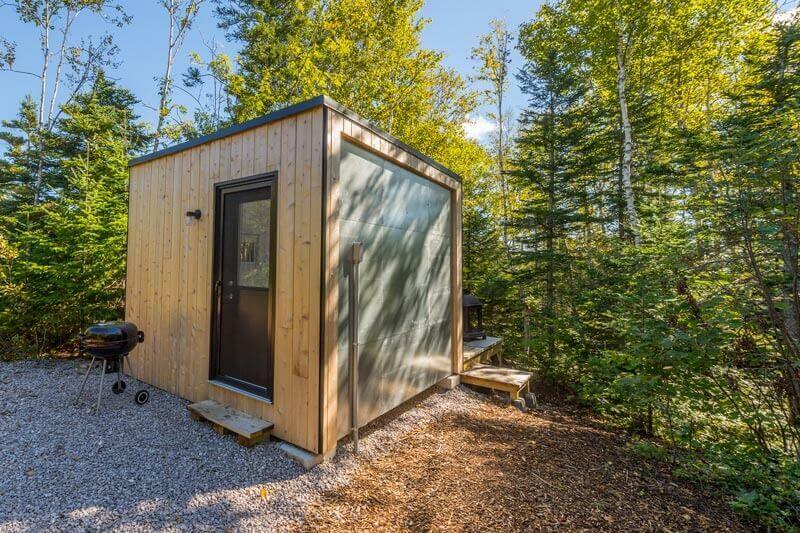 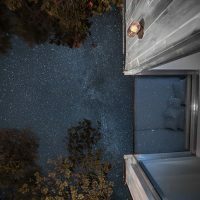 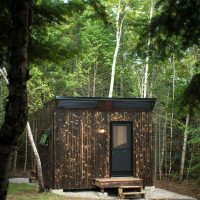 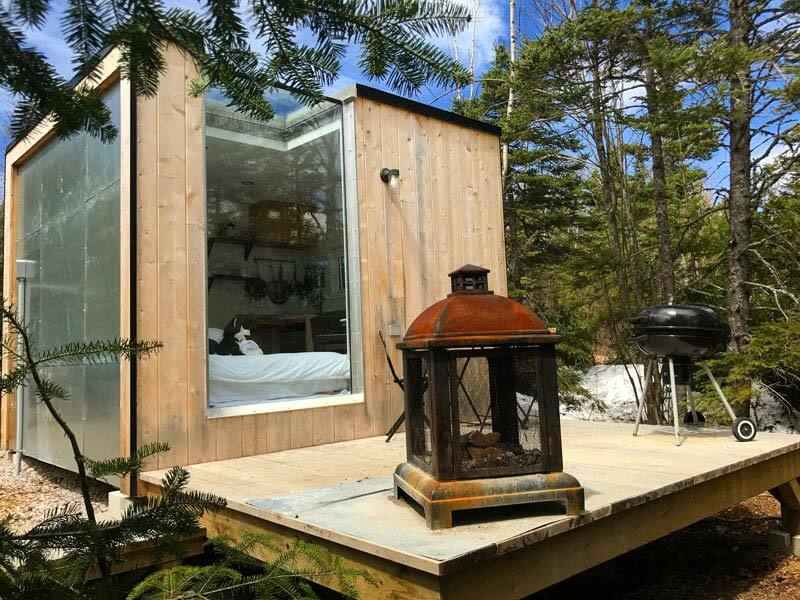 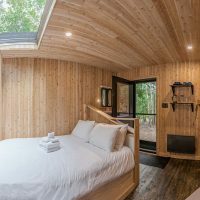 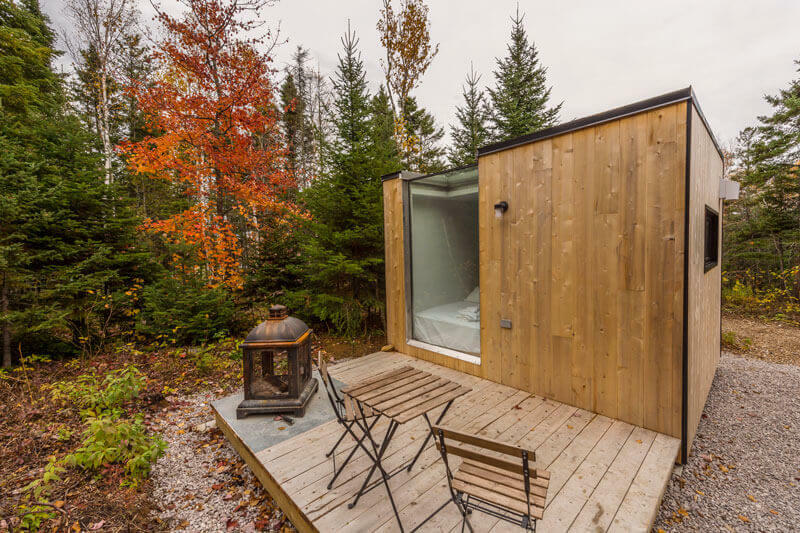 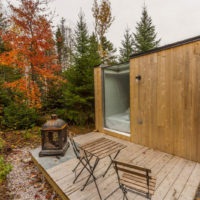 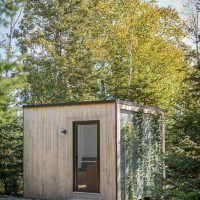 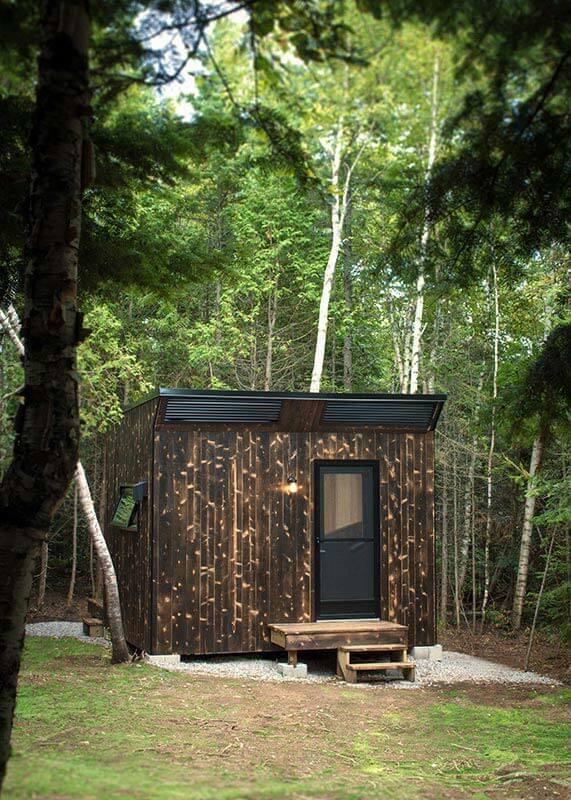 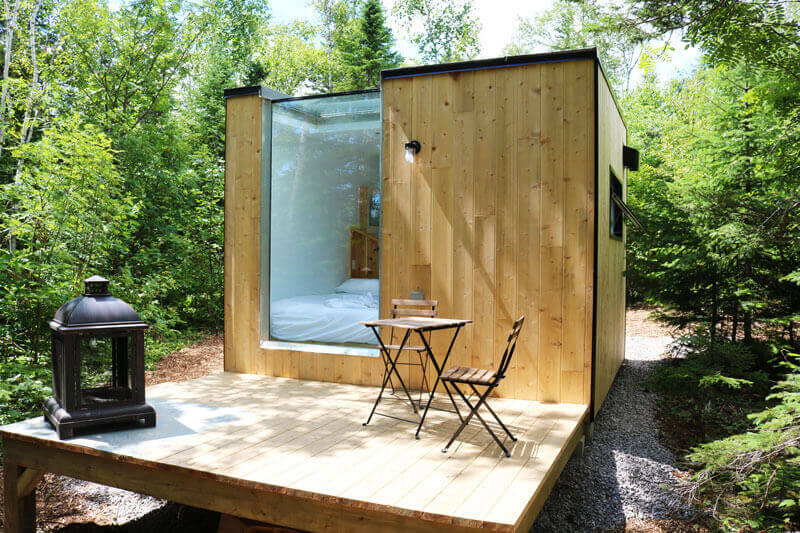 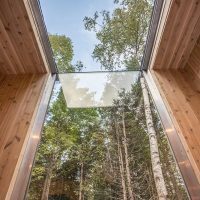 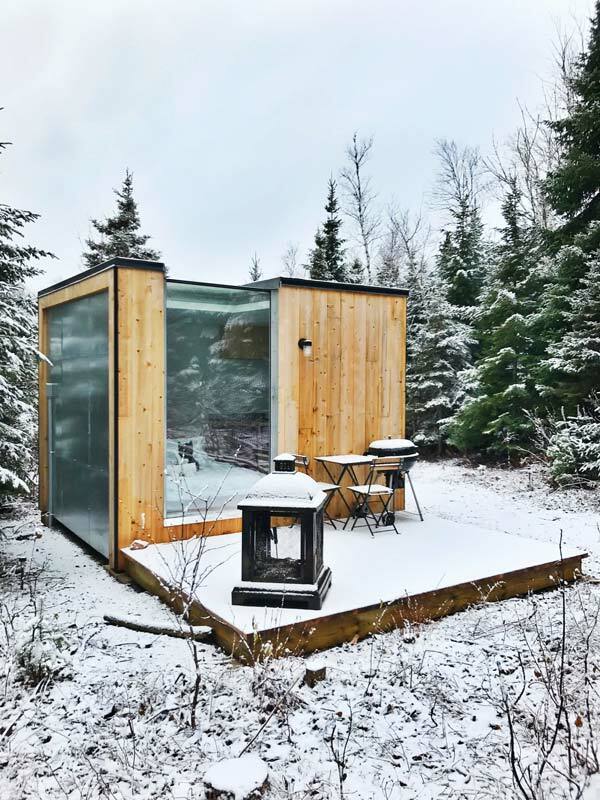 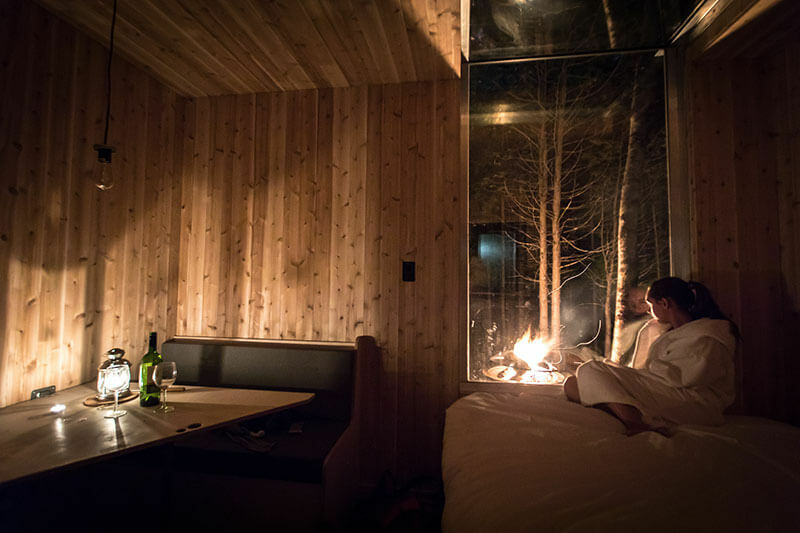 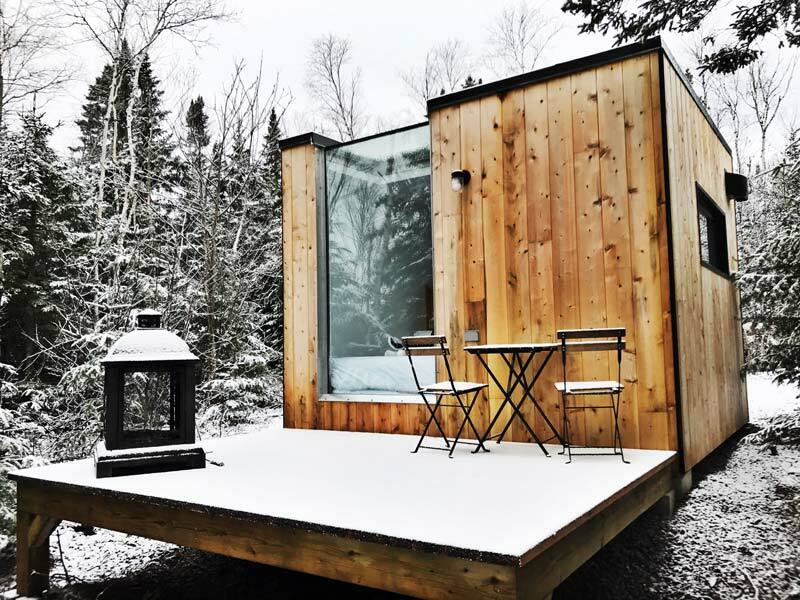 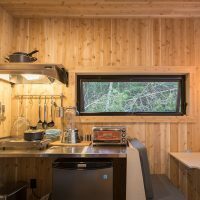 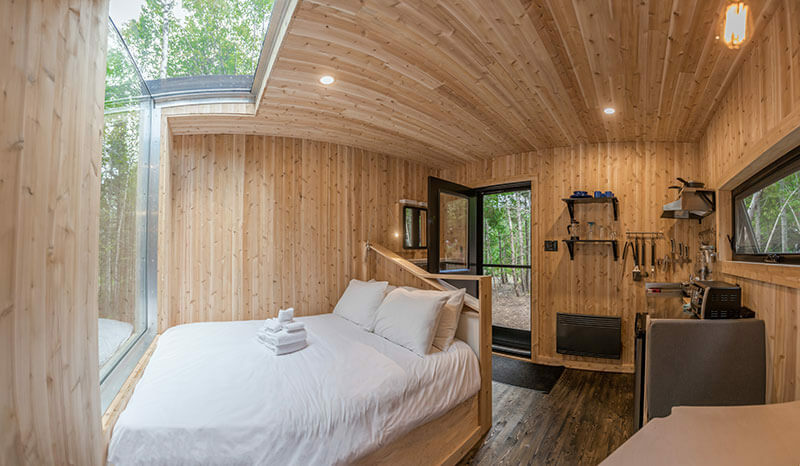 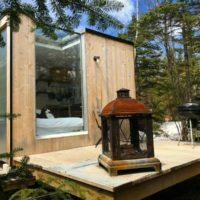 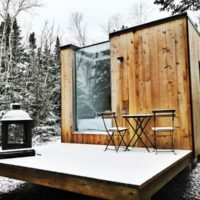 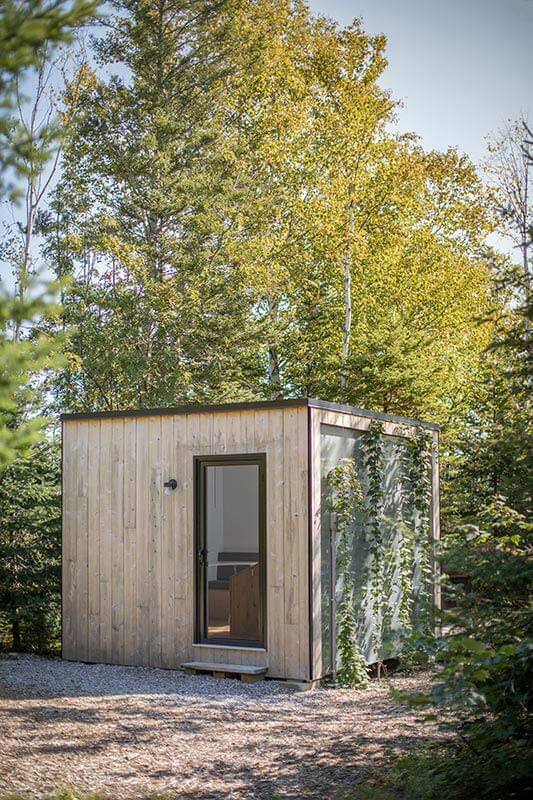 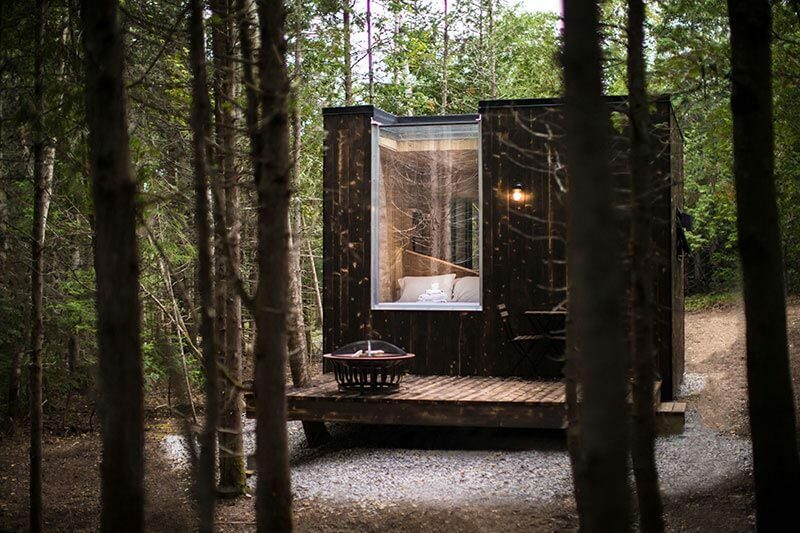 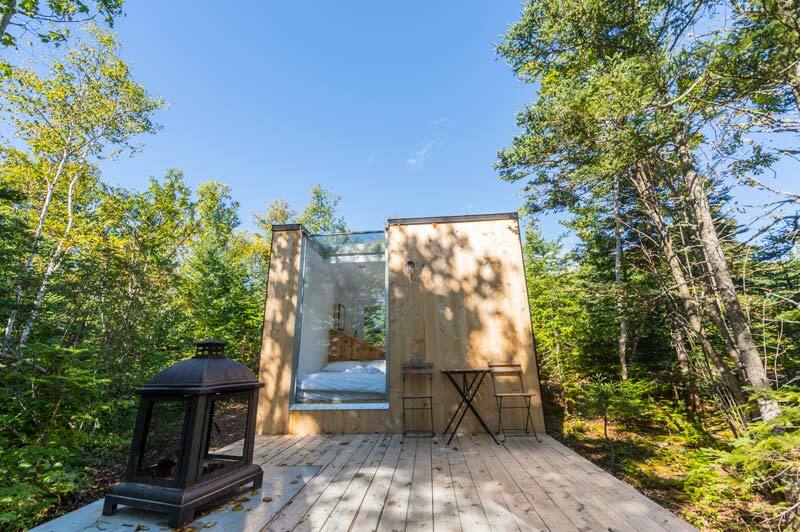 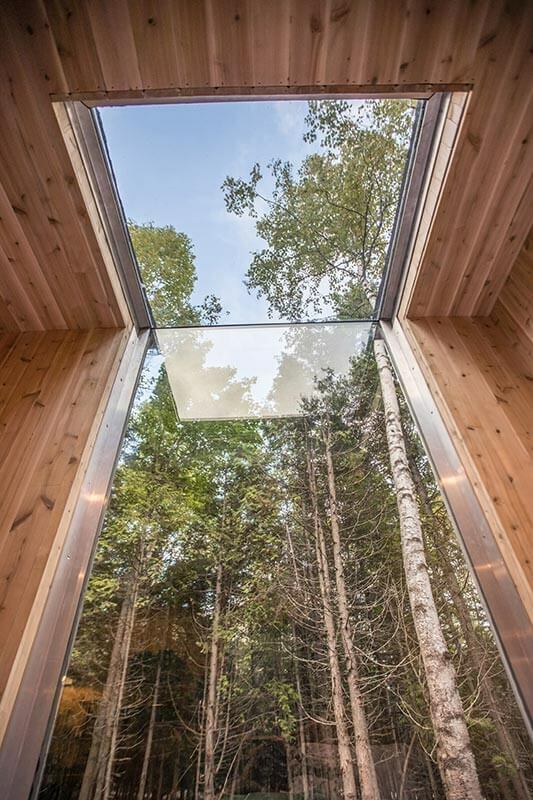 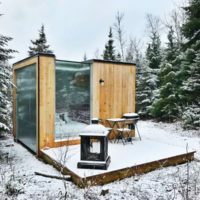 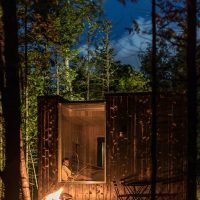 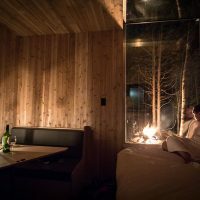 Repère Boréal’s cabins and refuges offer unique, wilderness getaways in the heart of Charlevoix. 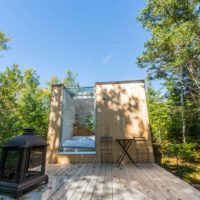 Use our interactive map to plan the perfect vacation and take advantage of everything this beautiful region has to offer! 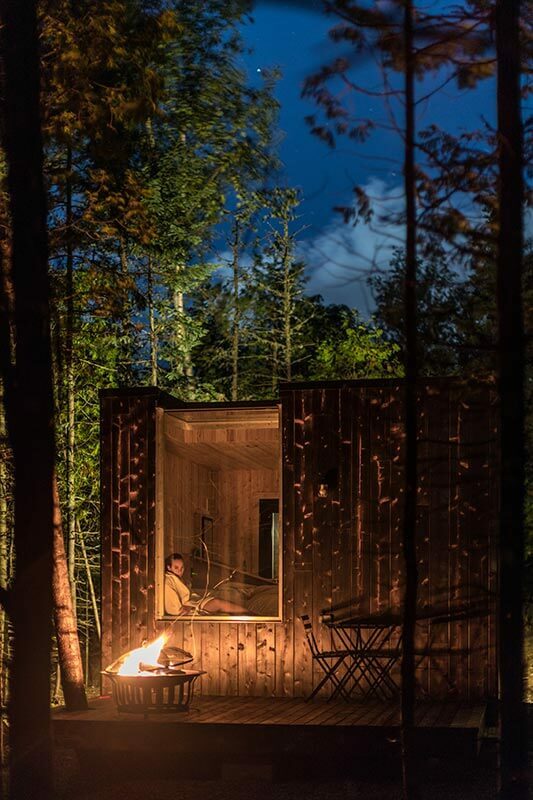 For group reservations or to reserve the entire site, contact us at 418-635-1153!